-Kid’s club daily activities for children from 3 – 12 years old, classes run from 8:30am until afternoon and even run during the evening till 20:00pm. 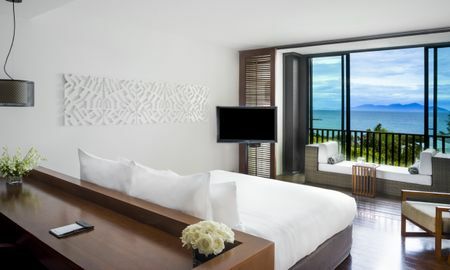 Positioned along the white sands of the Cua Dai Beach, Sunrise Premium Resort Hoi An offers stunning views of one of the most popular holiday destinations on the planet. With glistening cerulean blue water, the tiny smooth pebbles with enchant you as you gaze on to the amazing amenities the resort has to offer. 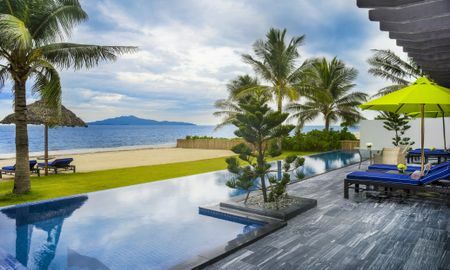 222 rooms, suites and beachfront villas peer out onto the landscape. Guests enjoy timeless tradition in Hoi, an authentic ancient town only a 10-minute’s drive away. Signature restaurants and bars provide an unforgettable dining experience, showcasing culinary masterpieces sure to tickle your palette with scents of the exotic. The Bodyworks Spa ignites you imagination as you bask and bathe in the glories of luxury, while your little ones enjoy the Sunrise Kids club with an array of exciting activities, making your getaway an unparalleled excursion for all. 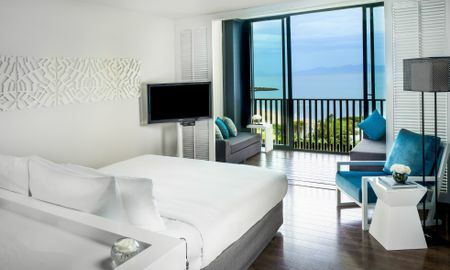 Sunrise Premium Resort Hoi An is the winner of the 2015 World Luxury Hotels Award in the category of Luxury Family All-inclusive Hotel for Vietnam. 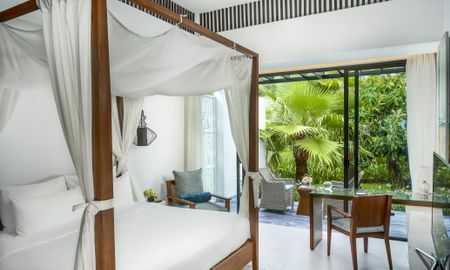 The Sunrise Premium Resort Hoi An is perfectly positioned on the beach front, an ideal point of departure for local adventures. Set 4.0 KM from the bustling excitement of the city, this 5-star hotel boasts an excellent location, providing access to the city's foremost attractions. 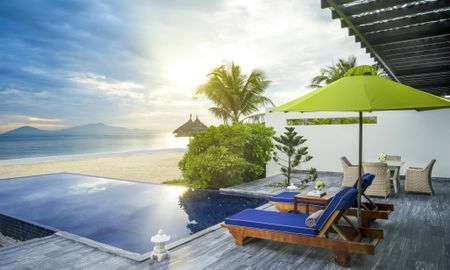 A well-kept environment and its proximity to Cua Dai Beach, Tra Que Vegetable Village, Nga give this hotel a warmth and charm unmatched by others of similar ilk on the island. Children aged under 6 years can attend free of charge. 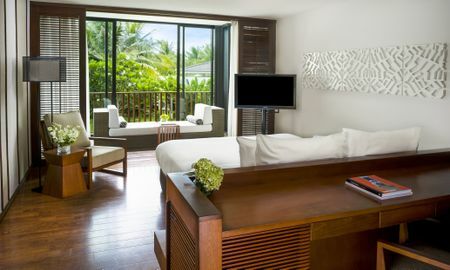 A supplement will be applied for extra bed for children and adults for the Half Board, All inclusive and Spa Treatment Offers. The Hoi An Shopping Shuttle is chargeable at 25.000VND per person per way. Sunrise Premium Resort Hoi An was awarded World Luxury Hotel 2017.